The Zenith sundial has an aged patina, the sphere is solid copper set on a ships bell. 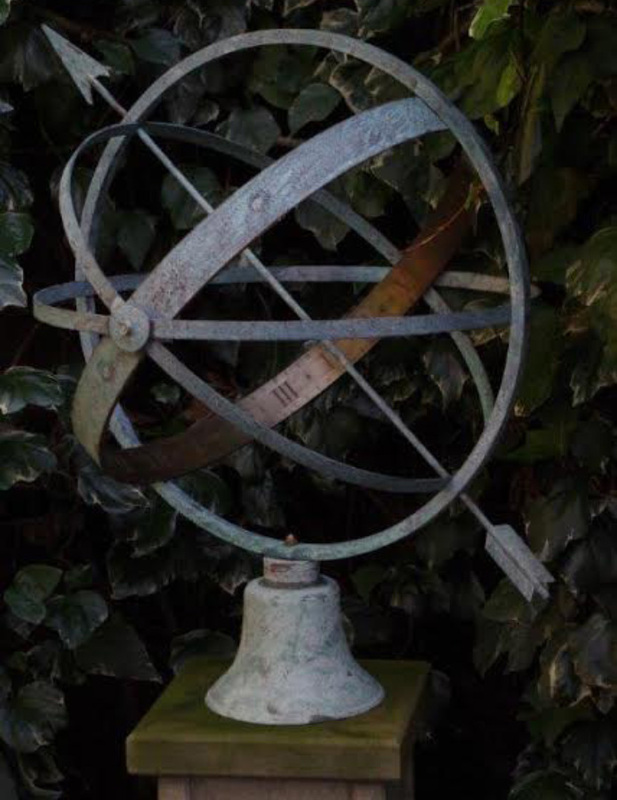 The Zenith 18″ diameter solid copper Armillary Sundial. The verdigris finish is optional.